North Korea Tech should soon be available again to readers in South Korea after I successfully won an appeal against blocking of the site by the Korea Communications Standards Commission (KCSC). The blocking began on March 24, 2016, when the KCSC ruled the site be blocked because it alledgedly violated the country’s National Security Law. 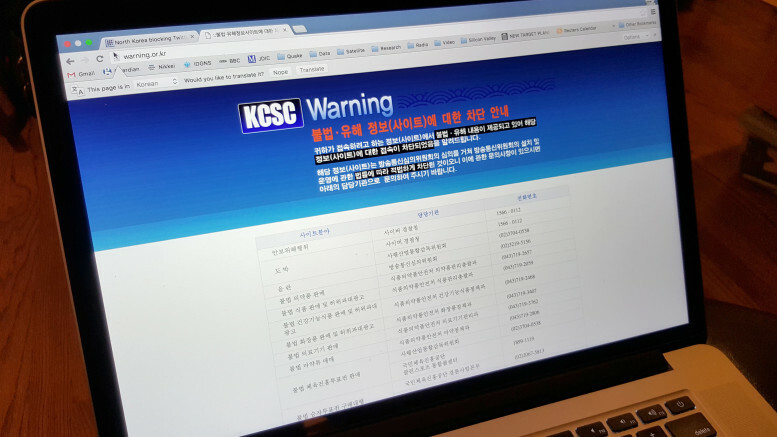 The KCSC was acting on a complaint from South Korea’s National Intelligence Service (NIS), which had recommended the site for blocking because it included elements of North Korean state media coverage. South Koreans typically don’t have access to any North Korean media — literature is banned, radio and TV signals are jammed and, thanks to the KCSC Internet filtering system, propaganda websites are blocked. But I felt I had a reason to appeal because the North Korean content on North Korea Tech was there for as part of reporting on the country and its media output. Open Net Korea (오픈넷), which publishes the annual Korea Internet Transparency Report (한국인터넷투명성보고), assisted me in appealing the block but the KCSC decided it was justified. Jiwon Sohn, a talented lawyer at the organization, agreed to take on the case and we sued the KCSC in Seoul to overturn the block. She won! But the KCSC appealed so it was back to court for round two. She won the appeal and the KCSC was given two weeks to appeal that ruling. Appealing it would have sent the case to the Supreme Court, something that perhaps the KCSC didn’t want to risk having failed twice in court, so it decided to accept the appeal court ruling. The case brought up several interesting questions surrounding reproduction of North Korean state media and propaganda in media reporting and its accessibility in South Korea. The court affirmed that the blocking of an entire website should be done only in exceptional circumstances where the website as a whole is deemed illegal. In the court’s opinion, North Korea Tech doesn’t meet that standard as, while there are pages that could be deemed illegal, the site as a whole contains a lot of information that is not in violation of the National Security Law. The court also found the KCSC’s rubber-stamping of the intelligence service’s allegations to be problematic and that it infringed the principle of “minimum regulation” without sufficient investigation. During the appeal process, the KCSC also questioned my ability to bring the lawsuit as I was neither South Korean or resident in South Korea and so guaranteed no freedom of expression under South Korean law. On that issue, the court found the right to disseminate information to Korean people through the internet is guaranteed as freedom of expression under the Korean Constitution and the UN International Covenant on Civil and Political Rights (ICCPR). Open Net Korea said this latter ruling upholds the rights of foreigners and operators of overseas websites to file a lawsuit against the KCSC should their site by blocked, and it strengthens the right to know of Korean citizens. “The court’s ruling is expected to be a momentum to advance the freedom of expression and the right to know on the Internet by putting a brake on KCSC’s indiscreet blocking practices,” it said. A small press conference will be held on November 21 (Tue), at 11:00 AM, at the OpenNet Korea office. If you would like to attend, please let us know in advance. 2 Comments on "North Korea Tech wins Internet blocking case"
Thank you from the bottom of my heart. Fabulous job on the law suit! congratulations. you took on a giant and won, and rightfully so.